Graveyard Shift is a strip for this year’s edition of Something Wicked, by David McCluskey and Sam Weller. Something Wicked will be on sale in November, but older issues are always available. Pages start at: This Link. Originally intended as a sub for FQ, I was sent the link to this web-comic by James (the writer) for some feedback once he decided that it really wasn’t an FQ strip (No robots or lasers etc) and I’m glad he did. This is only a six page short set in the murky world of gangsters and concerned with betrayal and loyalty. This is obviously the work of a team that care about comics and want to produce solid work. There are some rough edges on show, but nothing that can’t be worked on for later strips. I think this was worth reading and recommend it to you all to take five minutes to see why. Words & Pics- Jim Alexander, Luke Cooper & Will Pickering. To my shame I was sent a copy of #01 back in the middle of last year and didn’t mention it. Not because I didn’t like it, not at all, but I’m more of a ‘behind the screen’ guy- I like to work on the nuts & bolts of making comics so writing reviews is something I have to work on. 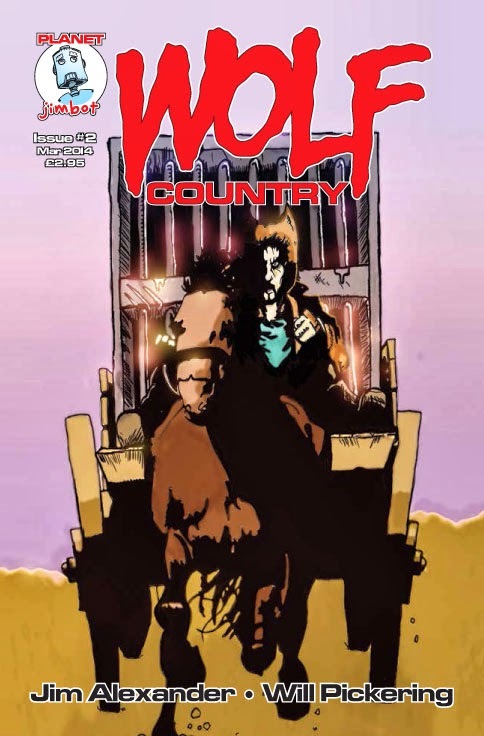 However- Wolf Country is a title deserving of the effort. 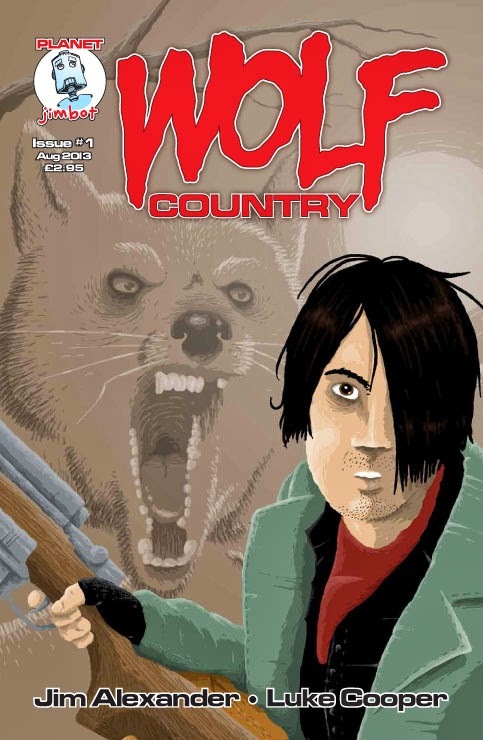 Wolf Country has at its heart the conflict between Vampires & Werewolves. That is the set dressing for the team to tell their stories on and the sooner that is accepted the sooner the stories can be told. Anything else we need will be passed along as it is required. In the first issue we meet a young man who is trying to define himself. He has been pushed by the world into a situation that many of his race would find desirable, but he himself is deeply troubled. Yet he stands up for himself and makes a decision to turn his back on the world in an effort to better understand himself. Is he successful? That is open to interpretation- and I really like that. We aren’t being spoonfed- there is room to think. The second issue sets a very different tone. We are given a wider view of the world we are visiting and the systems and beliefs by which it operates. More questions are asked than answered and we are given the beginnings of the ongoing tale and the answer to one of the big questions in life- Can you get a horse to jump out of an aircraft with a parachute on? The storytelling throughout both issues is clear and uncluttered. The stories are all lettered by the ever reliable Jim Campbell and even though I preferred the more self contained first issue I am looking forward to reading issue three..
Another success from Planet Jimbot. Behind the cover by Mick Cassidy, more about which can be found On His Blog! Peeps the droid brings more thrills lifted directly from the cortex of The Mighty One Himself. A.B.C. Warriors- Mongrol Handfuls of Smush, 7 pages by writer Mark Hobby and artist James Newell. BAD Company- From Mud To Murder, 6 pages by writer Shaun Avery and artist David Broughton. 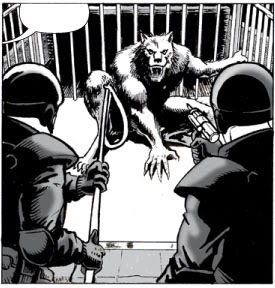 DownlodeTales- Sewer Side, 7 pages by writer Tom Proudfoot and artist George Coleman. Judge Dredd- Dead Soldiers, 6 pages by writer Karl Stock and artist Tom Bonin. M.A.C.H. 1-MachOfLies, 10 pages by writer Mark Howard and artist Matt Herbert. Tales of Mega-City 1-Meg-Way Blues, 4 pages by writer Umar Ditta and artist Nathan Webb. This issue sees Durham Red take centre stage with both a cover by Kev Levell and the lead strip for the issue. Inside this issue we have interviews with both John Wagner and Carlos Ezquerra alongside work from the finest muties we could find. 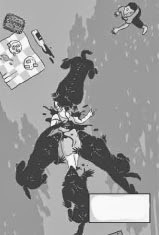 Durham Red- The Great Train Screw up, 6 pages by writer Luke Foster and artist David Broughton. Lujke has also posted about the strip here. Still only £3.00. From the link on the right!